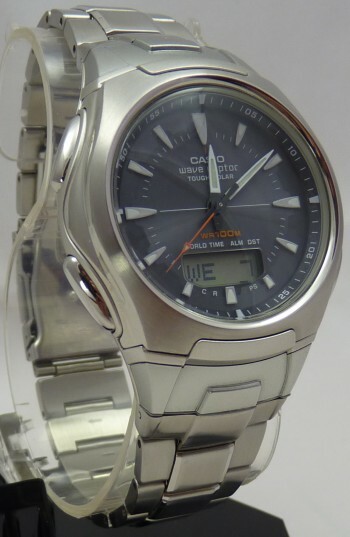 This mens Casio watch is a fantastic fusion of sports, technology and style. The smooth lines of its construction make a very streamlined looking piece. 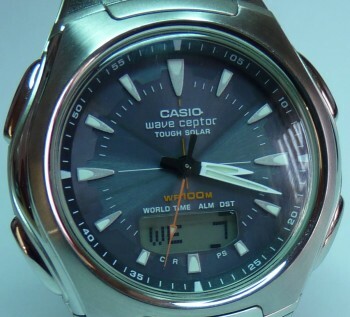 Casio have packed it full of features like Wave Ceptor technology. 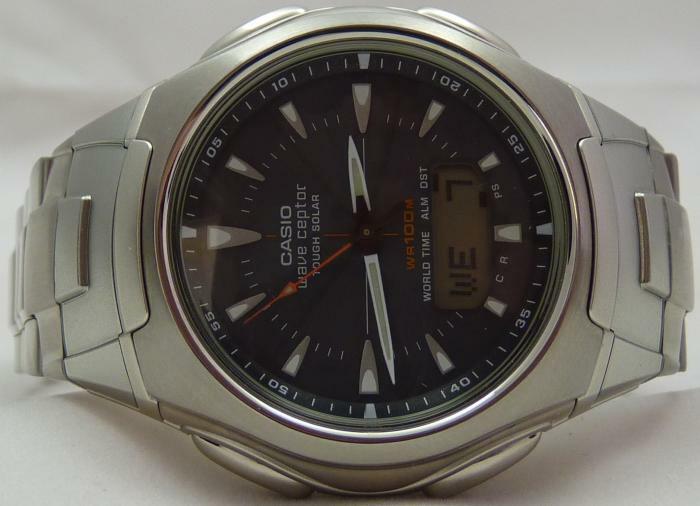 This watches tough solar movement makes it a wonderful eco buy as well. These radio controlled watches are dual region which, unlike other radio controlled products, allow you to switch between the UK and mainland Europe transmitters. Wave Ceptor also has automatic accurate time adjustment, which means it will update itself for British Summer or Winter time. This Tough Solar watch also eliminates the need for battery replacements. The solar cell is a thin ring that runs around the periphery of the face, which produces a clean design and allows the use of big, easy-to-read face markings. 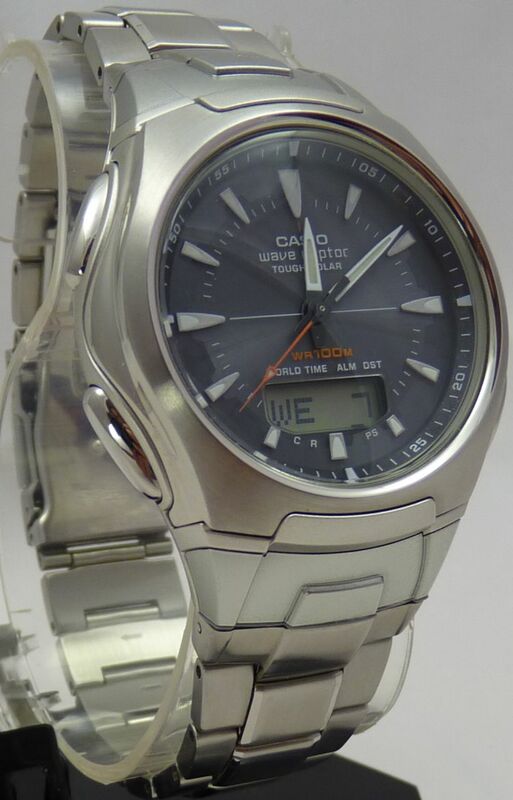 This mens Wave Ceptor watch has a clean face with a digital inset display and a satin finished stainless steel bezel and bracelet strap with a fully adjustable tri-fold clasp. 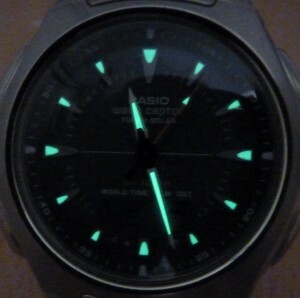 Clean simple design with 3 phosphorescent) hands and digital display with waveceptor accuracy. Day, Date, Month, Year selectectable display. 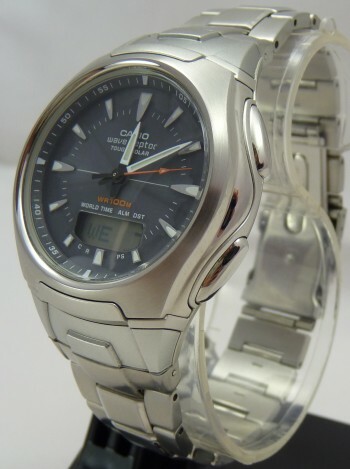 This Watch retails for over £150 in many high street retailers.